Are you bored of the clothes in your closet? Lacking outfit ideas? Feel like you need to throw out everything you own and start over? STOP! Before you do anything crazy and throw out your entire wardrobe, you probably just need a fresh dose of outfit inspiration. We've put together 50 inspiring outfit ideas that you can copy right now. Chances are you already own something similar in your wardrobe (and if you don't, add it to your spring shopping list) and can put together an outfit with a similar vibe. If it feels like each and every day until the end of the year is already filling up fast (and your iCal is filling up fast), and you're running out of clothes to wear, click through for 50 outfit ideas that'll suit any occasion and then shop our favourite new-season arrivals for under $100. For your next evening out, try a bomber jacket and strapless dress. Pyjama dressing is made for spring. This season, try head-to-toe floral. We recently told you mermaid pants were the next big thing, and this more than proves it. Dress up a boho embroidered dress with metallic boots and a mini bag. Go all ladylike in an off-the-shoulder fit-and-flare dress with a top-handle bag and T-bar heels. Have you ever thought to wear your dress over jeans and a tee? For the next cool day, try wearing your jacket buttoned up as a top. We'll be dressing down our fancy dresses by layering over a long-sleeve tee. A chain belt should be at the top of your spring shopping list. 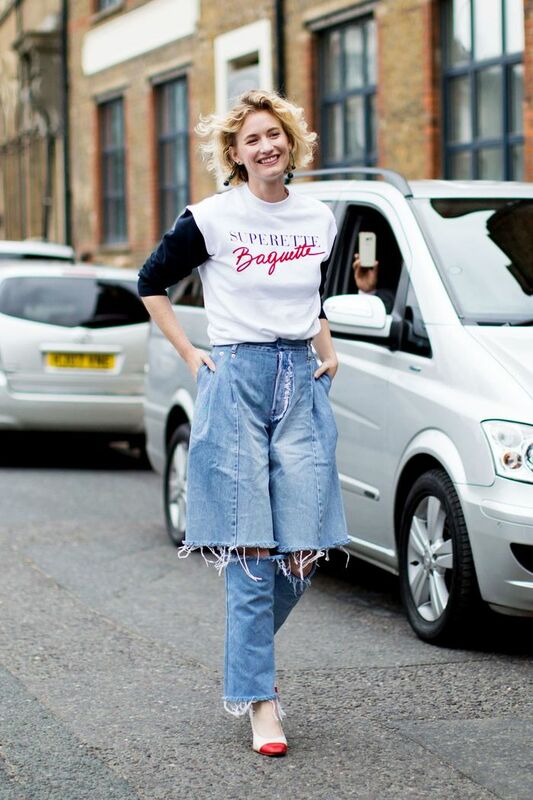 A vintage-style tee and mom jeans = perfect weekend outfit. Look for a new skirt with ruffles and volume, and pair with point-toe ankle boots. Go for boho vibes (but keep it edgy with black boots). 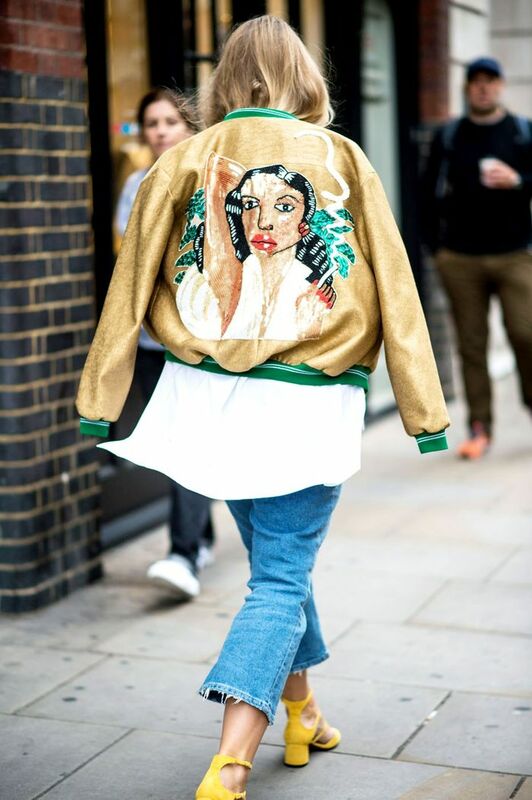 Make a memorable exit in a statement bomber jacket. Any outfit that only needs two pieces is a win (metallic boots, and layered dress). This controversial layered denim trend shows no sign of slowing down. There's nothing better than a ballet-inspired wrap top. One shoulder is your new off-the-shoulder. It's not a waist trainer, it's a corset belt, and yes, you need one. Make spring dressing ridiculously easy by keeping a bunch of easy dresses on hand. Pair unexpected shoes (like brocade mules) with a summery dress. A cropped knit over a shirt dress? Genius. Use a belt and new-season shoes to breathe new life into a vintage-style dress. 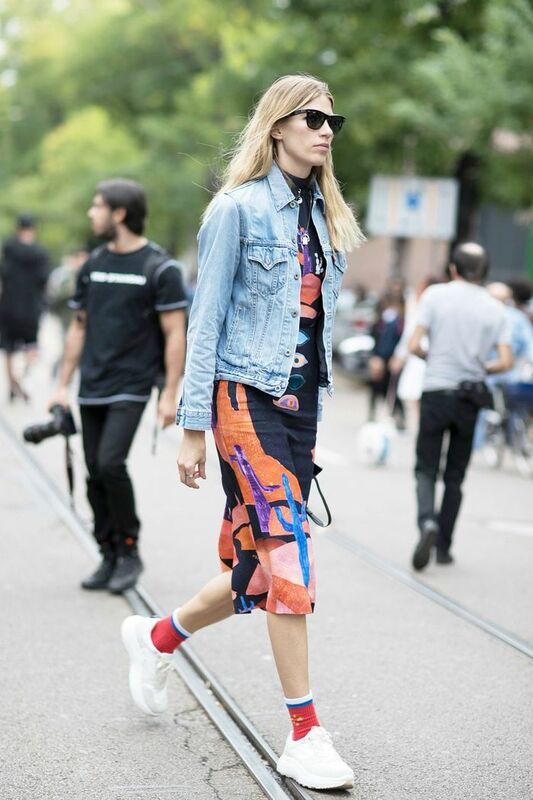 Printed sneakers + a white dress = everything. This season, wear your crop top over your dress. You can never have too many slogan tees in your wardrobe. When was the last time you wore a sequin tank top? Make a note to pair one with your jeans ASAP. Metallic pants need to be dressed down. Add a white tee, and a banadana, and you're golden. Does this signal the return of gingham? Wear yours with a printed tee and sky-high heels. We love a long knitted midi skirt paired with loafers. We thought we saw the last of boleros in the early '00s, but when it's sheer, and layered over a band-tee and jeans? It just works. A cut-out maxi dress and platform wedges should be on high rotation for warm weekend days. We can't stop thinking about this floral maxi skirt and turtleneck combo. Show off your incredible shoe collection with a dramatic pair of flared pants to highlight them. A denim jacket will be your MVP to layer over everything. When was the last time you wore platform heels? The time to whip them out again is now. Add a matching suit, and you're so 2016. The right way to show off your smalls is under a sheer patterned shirt. Wear an all-white outfit with pops of denim. So this is how you make velvet work for day, just add a white tee! Add a pair of red heels to an already-busy look. Somehow it just works? Trend to try: Layer a halter-neck bikini top under an off-the-shoulder dress. Don't be scared to try white pants, just add a loose tunic top and it will suddenly feel easy. Keep your jacket half draped off your shoulder (AKA the only way to wear a jacket this year). Layer a button-down under a slip dress for the easiest work-to-drinks style hack. Crisp tailoring will always be in style. Everyone has been wearing a wrap-shirt, and now we see why. If you're going to wear a statement piece (like this giant choker), keep the rest of your look simple. Like we said, it's all about the one shoulder. Dress up a sporty dress for work with a white crisp blazer. A pair of mules will dress up even the simplest outfit. We recommend the layering game. A bomber jacket, over a long shirt, over a lace skirt.